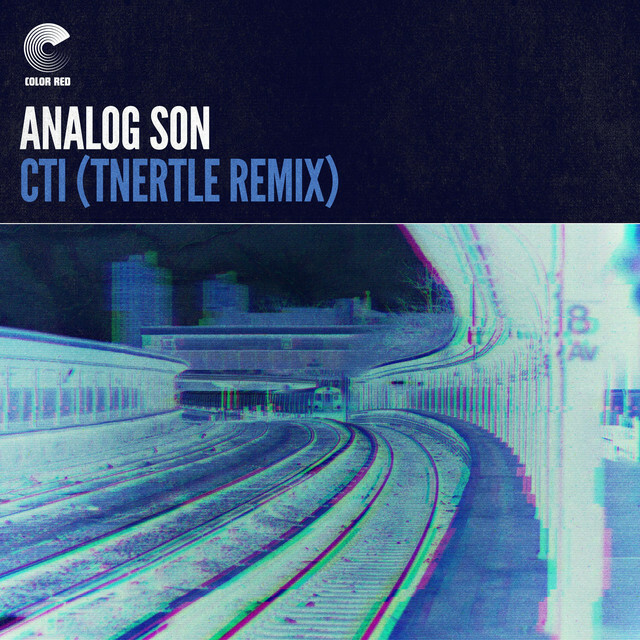 Color Red’s hot streak of remixes isn’t ending anytime soon; this edition’s sonic journey features local electronica live band Tnertle’s remix of Analog Son’s “CTI”. Trent Campbell (TNERTLE) and Analog Son’s bassist and co-founder, Josh Fairman, found themselves chatting backstage at New West Fest in Fort Collins this fall and had been entertaining the thought of collaborating for quite some time. It just so happened that Analog Son was releasing a new album in fall 2018 and seeking remix artists, so the timing was organic to meld the modern funk of Analog Son into Campbell’s vast arsenal of modern music production. Spin the track and check out our one-listen review below! The intro drum line features off beat high hats and kicks that give this beat some substance. Coming in next, the piano melody’s catchy chord progression juices the track up. Adding another layer with some synthy flute melodies and a head nod kick-high hat combo, this one keeps you moving. The addition of some distorted vocals takes the remix to housey Flume kind of place. It almost sounds like the vocals made the trip through an arpeggiator. A bridge settles this one back down before a trumpet section makes an appearance. Bouncing on the track like an over-inflated basketball, the trumpet section adds a dynamic sound to the remix. Back to the synthy flute line, the use of distorted vocals to curate an interesting melody is as respectable as it is enjoyable. A crashing symbol signifies the start of the outro, and the naked drum sequence takes us home. Tnertle’s “CTI” remix is part of a 3-track remix roll out by Color Red in celebration of the RECRED: Volume 1 vinyl record that will be available for purchase in record stores worldwide on March 15th. The “RECRED” album will feature Color Red remixes by Artifakts, Daily Bread, Congo Sanchez, and Dynohunter and will be available for pre-order on color-red.co on February 15th and record stores around the world will be able to order on global dealer Fat Beats.